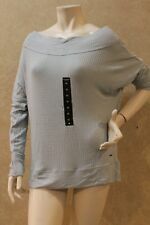 Lucky Brand Cacoon Sleeve Sweater Size Large/xlarge Blue. Condition is Pre-owned. Shipped with USPS First Class Package. Super cute sweater with pretty beading/ribbon details. Good condition. No obvious issues. Length: 20". Size Small. 18" underarm to underarm x 27" length. Lucky Brand Women's Printed Navy Multi Zip-Up Hoodie. Attached hood with drawstring; zipper closure at front. It's supposed to look and feel like it's your favorite old piece. It's character and even its flaws. Up River Apparel-. Condition - Great preowned condition. Sleeve (armpit to cuff): 12. Length (down center back): 23. If by chance a problem arises. Lucky Brand M Hoodie Cardigan Wrap Aztec Tribal Boho and oh so cute!!! Clearing out my personal closet. In gently loved condition. Sorry, the white lace under cami is not included in this sale. Bust measurement photo is shown first, laying flat, pit to pit. Length is from highest part of the top to the bottom of the hem laying flat. From a non smoke, puppy friendly home. Check out my other items, thanks for looking. Length 25". laying flat armpit to armpit 18". Lucky Brand Sweater, Size L, Black&White with motorcycle print, with Cotton 60%, 32% Nylon, Cashmere 8%, Condition is Pre-owned. Shipped with USPS First Class Package (2 to 3 business days). Lucky Brand Beige woman sweater size M. Condition is Pre-owned. Shipped with USPS Priority Mail Flat Rate Envelope. 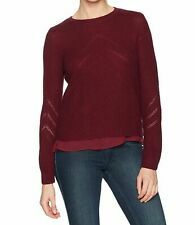 Lucky brand Red Turtleneck Sweater Size Small . Pre-owned and in amazing condition, worn twice. Loose turtleneck, zippers on the side Message me for details. All sales final. Only ship in USA. Please check out my other listings. Front length (shoulder to hem): 27". Across chest: 23". Sleeve: 25". Lucky Brand Womens Knit Cardigan Ivory Draped Medium. Excellent condition. Never worn. No tags. Comfortable fabric and neutral color. Great transitional piece. Lucky Brand Women's Medium Button-down Cardigan 2-Pocket Front Beige. Condition is Pre-owned. Minor snags are shown in last 3 pictures. Shipped with USPS First Class Package. Size: XS. -Care: Machine wash cold, lay flat. -Fabric: 55% cotton, 31% acetate, 5% nylon, 2% wool, 7% other. -Color: Red, Black, Cream, Coral. Material: Shell: 35% Viscose, 23% Wool, 21% Nylon. Care: Machine Wash Cold, Lay Flat to Dry, Cool Iron. PRE-OWNED BUT EXCELLENT CONDITION. SEE PHOTOS FOR DETAILS. Chest= Arm pit to arm pit. Sweater is maroon/purple in color, loose knit and long sleeved with side pockets. In excellent preowned condition. 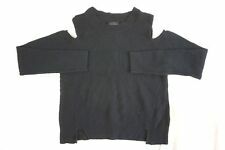 Sleeve length 22 in. Length 36 in. Length 39" from shoulder. Bust 23" across. Lucky Brand Medium Cardigan Asian Inspired Dragon Cherry Blossom Wool Angora . Condition is Pre-owned. Shipped with USPS First Class Package. Approximate Measurements: Underarm to Underarm 19” Length 23” Sleeve 29” If you have any questions or concerns feel free to send us an email. We will be happy to address them. Thank you for supporting our small business! Length: 25" in (shoulder to hem). Bust: 36" in. Length: 26.5. Underarm to underarm: 24. 20" Chest (armpit to armpit). It has a diamond knit background pattern adorned with very 3-D embroidered pink and red rosebuds with sage green accents around the neckline, sleeves and bottom edge. Tiny pearlescent buttons run up the front. Lucky Brand Shrug Blue Beige Stripe XL New Cotton. Condition is Pre-owned. Shipped with USPS First Class Package. Cardigan has southwestern embroidery on front and along hemline. Cardigan is in good overall condition. Cardigan has pockets on each side. Fabric content as follows: 100% cotton. Lucky Brand open weave cardigan sweater open front Short Sleeves Ivory. Condition is Pre-owned. Shipped with USPS Priority Mail Padded Flat Rate Envelope. 55% cotton, 25% nylon, 20% viscose. Long sleeves. Sweater has a lovely all over raised texture and has nice weight. Seems like a Cotton blend. Condition: This item is inGood Pre-Owned Condition ! Overall This Piece Looks Great and you will love it at a fraction of the price! Bright color, not faded. Each item's pictures are of the actual item.